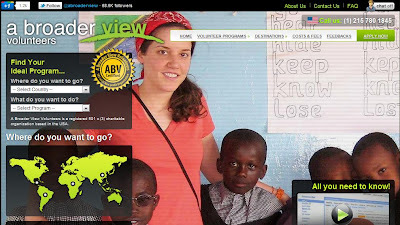 Promote4you: Checkout A Broader View Volunteers! A Broader View Volunteers was founded by Sarah and Oliver Ehlers, after a trip to Chile, South America. While there, they saw the overwhelming need of the children and incredible difference volunteers made in helping a local orphanage. After returning home to the USA and researching different service organizations, they were stunned at how costly and restrictive many volunteering programs are. 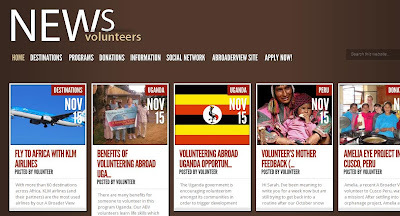 They decided to create an affordable, safe and worthy program so that anyone who wished to travel and volunteer - could easily afford to do so. Oliver Ehlers was born and raised in Chile, South America. He holds a BA degree in Business Administration and Tourism. He has extensive experience in Business Development, Marketing and sat on the faculty of Economy & Business at the University of La Serena, Chile. He has traveled extensive throughout South and Central America, and spent time living abroad in Denmark and Spain. Sarah Ehlers was born and raised in Philadelphia, PA USA. She holds a degree in Hospitality Management and Business. She worked eleven years in the area of travel management, focusing on coordinating international programs for the US market. She has traveled extensively throughout Central and Eastern Europe, North Africa and the Middle East. Through their travels and backgrounds in Hospitality Management, Tourism, and Business, they have created an outstanding yet affordable program which offers the traveler the experience of their lifetime -- volunteering abroad and making a difference in the world.